MERCEDES — A dialysis center will be the first to open at the vacant light industrial park here, and leaders are preparing for another business announcement later this month. 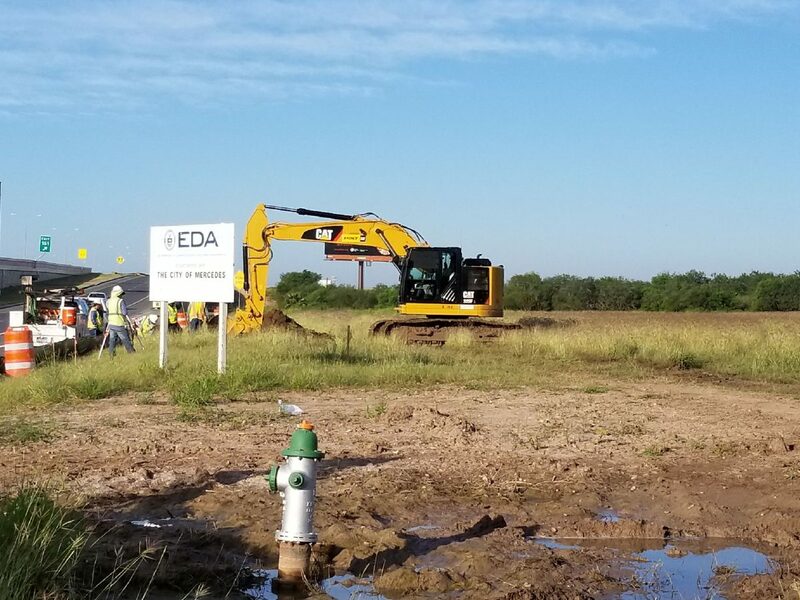 DaVita Kidney Care operates dialysis centers in nearby Weslaco, Harlingen and Donna, but will be the first for Mercedes when construction is completed on the 8,967-square-foot facility in December. Genesis KC Development, LLC, purchased the property located along West Interstate 2 from the Development Corporation of Mercedes for $170,000 without an incentive, according to DCM Executive Director Melissa Ramirez. The developer selected the approximately one-acre property after meeting with DCM representatives and touring available property in the city. DaVita will employ about 20. The second business, which name remains under wraps until construction begins, could staff about 300. The DCM in June worked to close the deals on the “two solid prospects,” said interim City Manager Sergio Zavala, but could not announce the dialysis center construction until contracts were finalized. Though the contract for the second business closed, construction has not begun, and officials will not publicly disclose the name of it until construction begins, potentially in two weeks. The DCM has five approximately five-acre lots available for purchase ranging from $170,000 to $200,000 dependent on location in the first phase of the light industrial park. The DCM purchased the industrial park property for $3.48 million through a loan from Valley Telephone Company and with the help of a U.S. Economic Development Administration grant used for infrastructure improvements to spur business development in the northern part of Mercedes. “People are still continuing to believe in Mercedes, and they’re continuing to invest in Mercedes,” Guajardo said.